Chronographs are among the most iconic timepieces ever produced. The Omega Speedmaster was the first watch to make it to the moon. Rolex Daytona’s have graced the wrists of a nearly countless number of celebrities from Paul Newman and Brad Pitt to Jay-Z and Victoria Beckham. Breitling Navitimers have been the favored watches of airline pilots since the 1950s. But what are chronographs and how do they work? The word “chronograph” sounds like something complicated and difficult to understand. It’s really just a stopwatch! Chronograph functions were first introduced in watches to aid airplane pilots and race-car drivers. 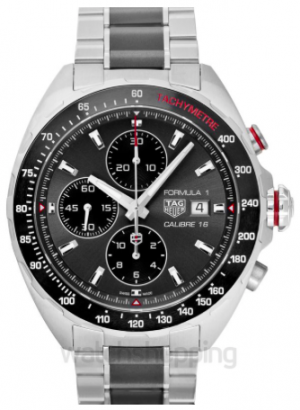 Formula One drivers used chronographs to time their laps and gauge distance. Chronographs went into space as astronauts were in need of handy stopwatches on their wrists to time reentry into the Earth’s atmosphere. To use a chronograph as a simple stopwatch you just press the button on the side to start the main hand that sweeps through the second markers around the face of the watch. Press the same button for it to stop. Push a button (usually on the bottom of the watch case) to reset the stopwatch back to zero. That’s it! What’s Up with Those Small Dials? The sub-dials of a chronograph aren’t as simple. But still easy enough to grasp! There are three small dials with one hand on each. They are (1) an hour hand, (2) a minute hand and (3) a second hand. The sub-dial’s second hand (#3) is actually for the watch and not the stopwatch function. It is constantly in motion and completes a revolution once a minute just like the second hand on any watch. The sub-dial hour hand (#1) tells you how many hours have passed since you started the stopwatch. The sub-dial minute hand (#2) tells you how many minutes have passed since you started the stopwatch. Mystery solved! Have you ever wondered what all of those markers and numbers on the bezel mean? Well, they are used to measure speed, distance and even things like consumption of fuel. Be warned, this can require a little math. But before you run, rest easy it’s not hard math and you won’t be tested on it later! Imagine you are a driver in a road race and you know that the distance between two-mile markers along the route is one mile. You click the chronograph to start counting at the first road marker and stop it at the second. It took 40 seconds. 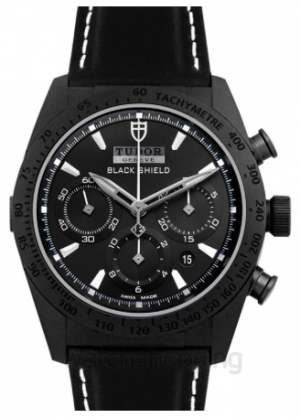 Your chronograph’s second hand is now stopped at the 40-second mark on the watch’s face. The same second hand also points to the outer hash mark of 91 on the bezel. You traveled at a speed of 91 miles per hour! As the scale on the bezel is neutral, you can do the same with kilometers. Say the distance between the two road markers is one kilometer and the time to travel between the two points is 22 seconds. When you stop the second hand, it points to the 22-second mark on the watch face and the 180-hash mark on the bezel. You traveled at a speed of 180 kilometers per hour. Math enters the picture when you have to measure distances that are less than nice easy numbers like one kilometer or one mile. Say you drive a quarter of a mile in 16 seconds. 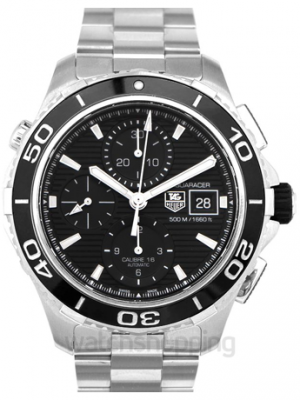 The second hand is stopped at the 16-second mark on the watch face and points to the 225-hash mark on the bezel. So, you traveled at a speed of 225 miles per hour? No, you have to divide by one quarter, bringing you down to 56.25 miles per hour. See, that wasn’t so bad! That race car you are driving probably has a speedometer. If you know the speed at which you are traveling, you can use a chronograph to measure distance. You’re chugging along at 75 miles per hour. Click your chronograph to start the stopwatch function. Click to stop it at the 75-hash mark on the bezel. That’s one mile! Imagine that you want to measure productivity. You’re the manager of a big bakery that makes chocolate cakes (and your waistline has been showing it!). A fresh cake rolls onto the conveyor belt for packaging every 55 seconds. 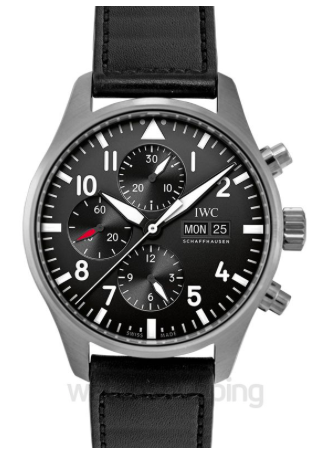 You click your chronograph and see that the 55-second mark on the watch face points to the 65-hash mark on the bezel. You now know that your bakery produces 65 cakes every hour. These are simple examples that use basic math. Things get more complicated when you try to measure things like average speeds and fractions of time or distance. But they can be done with a chronograph too. 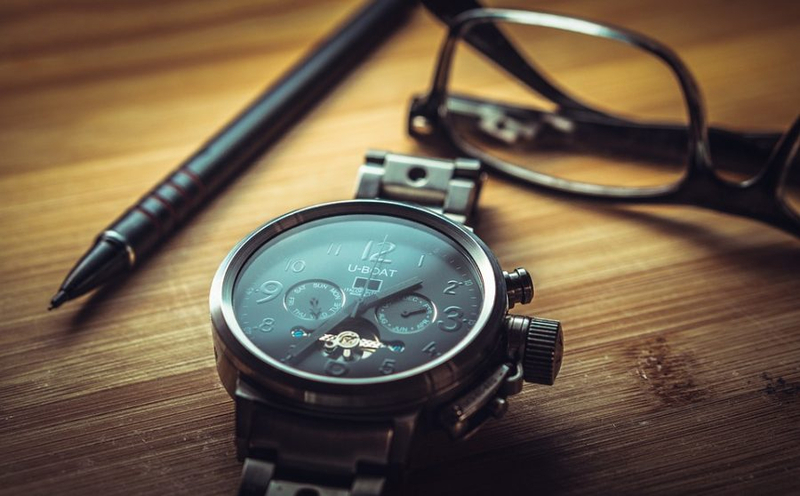 So more than just making you look cool, a chronograph is one handy tool to wear on your wrist.